As I mentioned in my most recent edition of F# Discoveries This Week, it’s Code Camp season and it would be great to see more F# users out there sharing the love. To help out, I’ve provided the slides from my previous talks in one place under the Creative Commons Attribution license. I even left all of my slide notes intact. Do anything you want with them, but please do it in the spirit of spreading F#. Of course, this applies only to my own slides and code. Everything made by someone else maintains its existing license. Duh. This was my go-to intro to F# talk for almost two years. It’s a whirlwind tour through F# with an emphasis on conveying why F# is good over how to use it or how it works. I’ve given variations of this talk over 10 times, and it’s always a crowd pleaser. I gave this talk at the NYC ALT.NET Group shortly before moving to NYC. It may just be my most well received talk of all time. If you use this, you’ll need to switch up the questions so people can’t just look up the answers online beforehand. This talk is an overview of some of the tools available for F# and how to use them. It’s one of my favorite talks for intermediate F# users. FsCheck always blows the minds of those who are engineering-minded. While similar to F# for Testing and Analysis, this talk focuses on some great tools not involved in testing. For example, I give FAKE some love. This is the content for my CUFP tutorial. Giving this talk involved a ton of answering questions and walking around helping directly. 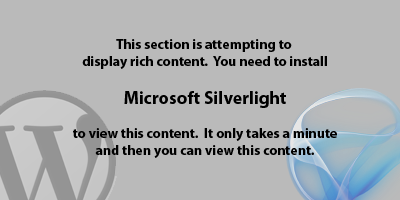 The code is a bit dated, I have a much more recent Silverlight version you can use instead. This was my first attempt at spreading F# in academia and I think it went much better than I expected. My favorite part is the comparison of a pseudo decision tree with F#’s match statement. This talk is a bit of an unfinished project. The basic idea is that F# allows you to implement features that would requite compiler changes in languages like C# and VB.NET. I’ve given it only once with mixed results, but I think it has a lot of potential. I’ve given a few others but they’ve either been composites of what I posted here or are so old that none of the samples would work now. I hope that by providing these here I’ve inspired at least one other person to get out there and share the F# love. I’d love to hear about how you used these slides or answer any questions you might have. The best way to get in touch is with twitter.